Nautica – Talk about making us feel like we are relaxing on a Greek Island! 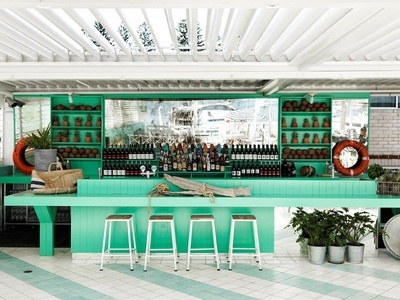 The styling of this café/bar is absolutely amazing! Open for breakfast, lunch and dinner this place is ideal for a relaxed beverage or morning coffee, and they do also serve food for all meals of the day. Located in Watson’s Bay just behind Robertson Park, Watsons Bay Beach promenade is just a short stroll away if you do fancy a swim or wish to jump on a ferry to move to your next location for the day. Watsons Bay Boutique Hotel – While at Watson’s Bay, a perfectly relaxed atmosphere can be found at Watsons Bay Boutique Hotel, where there is an amazing beer garden with spectacular views. Whether you are looking for a place to have a meal, a drink or even a coffee or freshly squeezed juice, if you are in Watsons Bay you simply cannot go past this trendy venue. Looking for a place to stay overnight too? I’ve heard the rooms are fabulous, so why not spoil yourself, your friend or partner and book a room for the night. One of my favourite things about this place – the anchor signage on the bathroom doors that spell out MR and MRS!! Truly nautical and on trend… Love it!! The Ivanhoe Hotel – The other side of town is home to a much-loved local pub set in the heart of Manly on Sydney’s Northern Beaches. The magnificent façade has a Hamptons-inspired coastal beach vibe, while cleverly maintaining the welcoming and relaxed atmosphere of Manly and a local pub. With the beach within walking distance, it is the perfect location to relax on a hot Summer’s day. Multi-level, with indoor and outdoor spaces, you are guaranteed to find a spot to relax and have a refreshing drink, and you won’t even feel like you left the beach. Both the food and drinks are amazing and the pub is open long hours so you can pop in at any time of the day. The Island Bar – Located on Cockatoo Island and open only in the Summer months, the blue, yellow and white décor of this bar definitely fits in with the nautical theme. The bar is constructed from recycled shipping containers, giving it a funky industrial look and keeping with the history of Cockatoo Island as a shipbuilding yard and Commonwealth naval base. With deck chairs available for relaxing in the sun, this is a perfect choice for some daytime drinks and a bite to eat. While on the island why not take a brief tour and uncover some of the history of Sydney Harbour, or if you are up for the experience you can even camp overnight on the island. Alternatively if you hire #thekirralee for an exclusive charter, you can request the skipper stop over at the island while you and your guests can head to the bar. 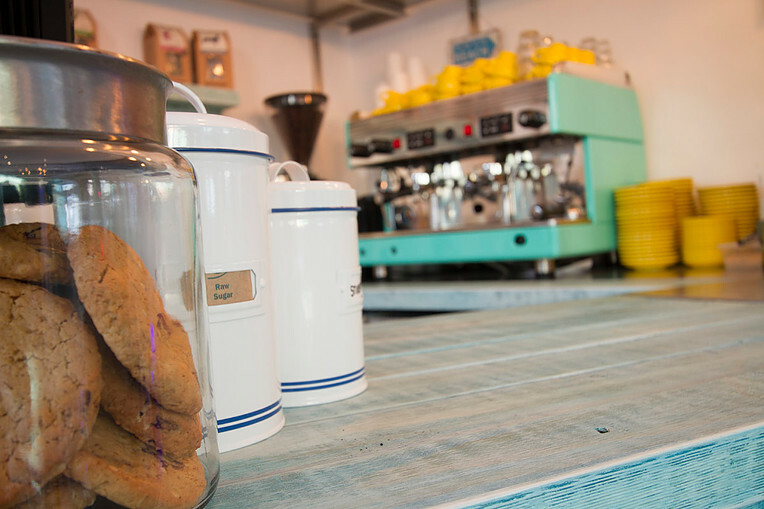 Hello Sailor – After a trip from the East, to the North and to the middle of Sydney Harbour, we come back to a central location in the CBD – Darlinghurst. 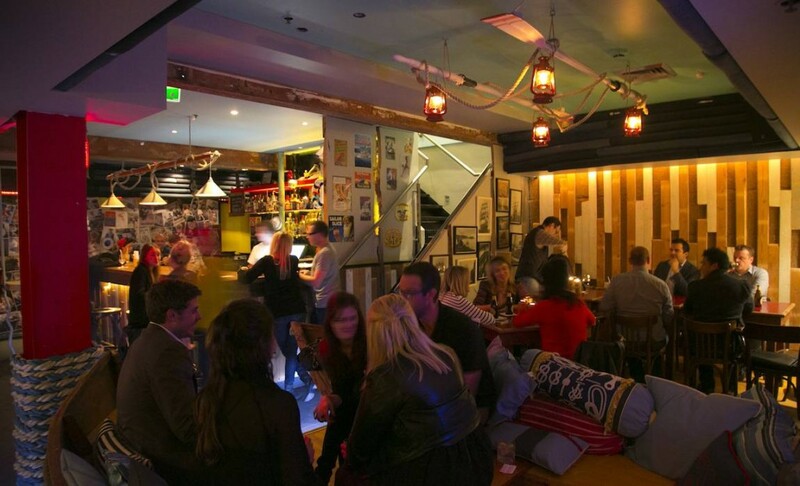 Hello Sailor is a great themed bar for the night time drinking session as it is open from 6pm-3am. It is a small bar that attracts a young crowd and trying the cocktails at this bar is a must! 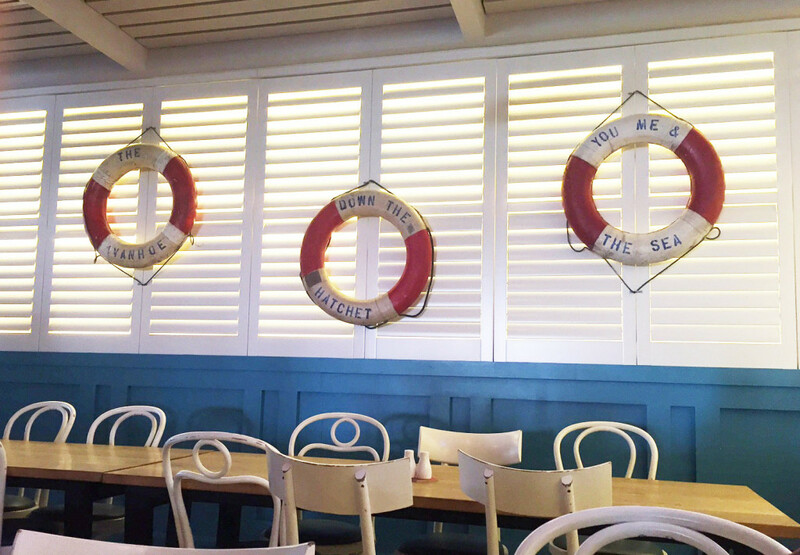 The atmosphere is fun and trendy and the nautical theme is far from subtle, with life rings, boat wheels, rope and oars spread across the venue – exactly what one would expect from a place called ‘Hello Sailor’ I guess. If you did wish to host a function at this venue, it would be best to call and make a booking as the bar does get very busy on some nights.